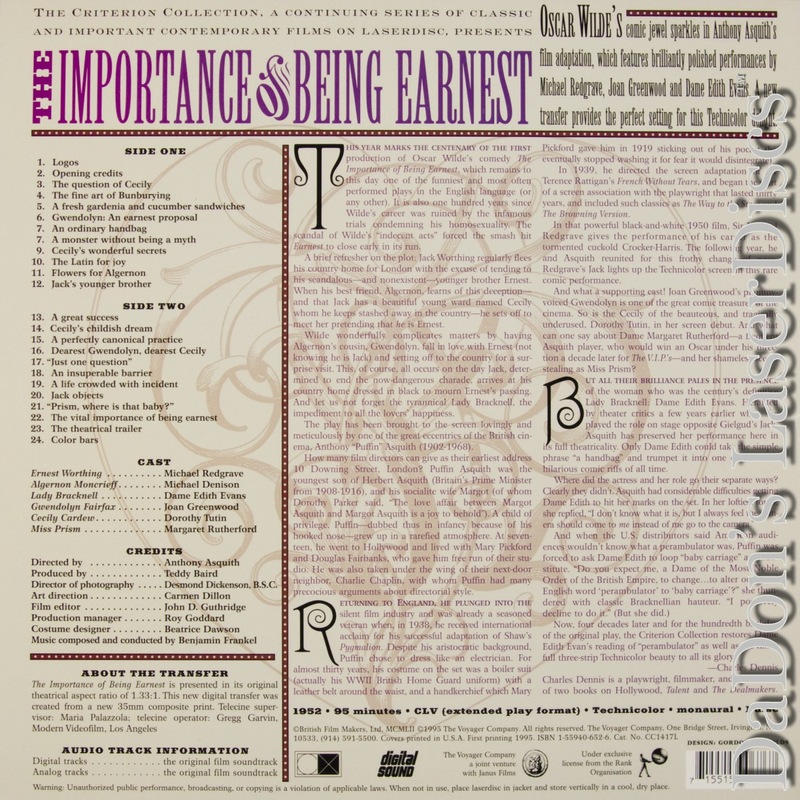 The Importance of Being Earnest 1952 - 95 min. 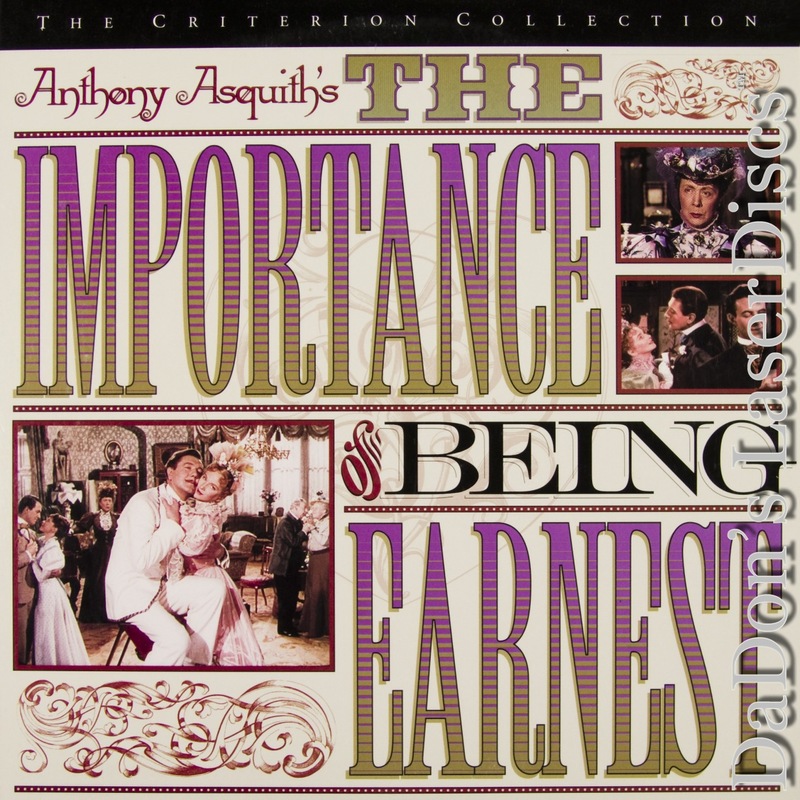 - Color Genre: Comedy Not Rated Country: USA LaserDisc Movie Review: Anthony Asquith, having directed a wonderful film of George Bernard Shaw's PYGMALION, turned in 1952 to another classic, one of the greatest theatrical comedies, Oscar Wilde's THE IMPORTANCE OF BEING EARNEST. Set at the height of the Victorian era, popularly imagined to be a cold and repressive time, the visual contrast with 1950s Technicolor only seems to enhance Wilde's sharp satire and droll epigrams. Cast with talented veterans of the English stage, even the minor characters are a delight. 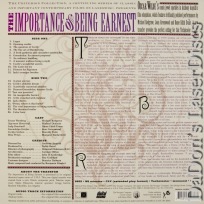 Asquith allows the actors, particularly the female roles, to deliver Wilde's dialogue in a ringing theatrical voice. Edith Evans as the imperious Lady Bracknell, full of strident tone and rolling R's, and always in high dudgeon, strikes fear in the heart of Jack (Michael Redgrave), while Joan Greenwood as the beautiful, opinionated Gwendolyn (who could never marry a man named "Jack"), melts his heart in a voice that practically purrs. Wilde's use of a convoluted, improbable story, much imitated in the screwball comedies of the 1930s, never detracts from the pure enjoyment of his characters silly yet heartfelt struggles. Asquith's staging and directing is smooth and fluid, thus retaining a theatrical feel. This gives today's viewer a sense of what Victorian audiences must have felt when they first beheld the breathless pace and matchless wit of the incomparable Oscar Wilde. Thanks for Visiting DaDon's Rare LaserDiscs ! Reviews, Articles, Newsletter and Information for Movies on LaserDisc LD Laser Disc, LazerDisc.